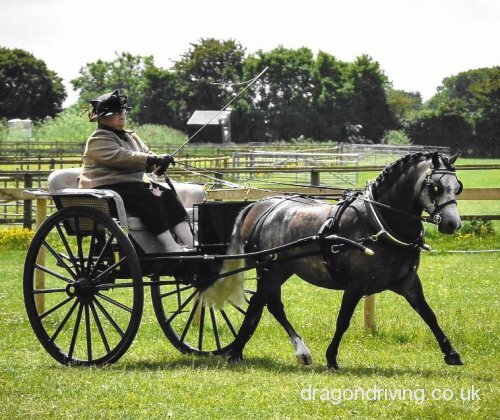 Exercise cart, been used for 14hh pony but would fit approx 13hh - 15hh. Very, very comfy ride as strongly built & has pneumatic tyres & good suspension. Excellent for use on & off road. Seats 3, either 2 adults & a child or 3 small adults. Sliding seat to adjust balance. Just been repainted in duck egg blue & Oxford blue so looks very smart & is ready to use. 1909 Chair Backed Well Bottom Gig, made by Joseph Gibson & Son, Birmingham. On 16 spoke wheels, with lance wood shafts. Canework is genuine and perfect, not transfers. Upholstered in cream suede fabric as used by Rolls Royce, Bentley and Aston Martin. Comes with bespoke covers for storage & transport. Gives a beautiful ride on it's Dennett springs. Completely refurbished before going into storage. Wheels 45", tug to tug 24", tug to floor 36 1/2", pigtail to tug 45". Lamps available. Happy for you to bring pony to try. Jogger to fit 13.2hh to 15hh, good condition, needs to be sold as not using. 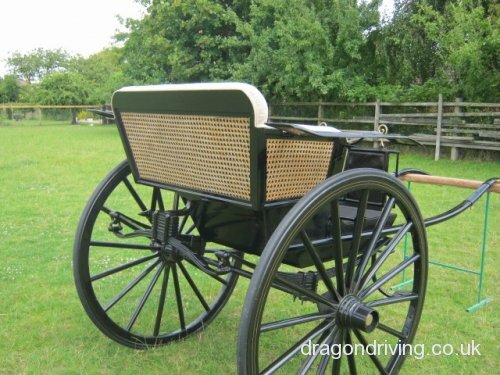 Exercise cart, 13.2hh to 15hh, good condition. Tie down or quick hitch. Needs to be sold. 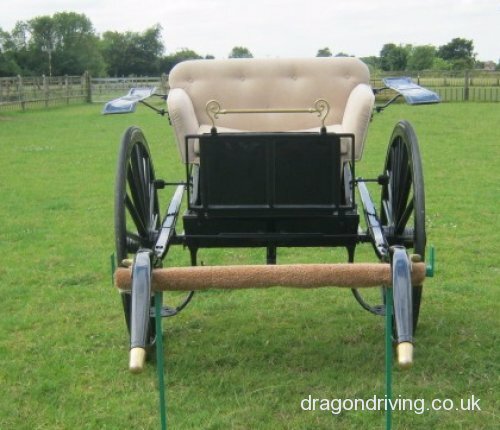 Governess cart, in reasonable condition, not perfect, but usable. Part of a rural museum display. Here we have brand new 2 wheel cart, very light cart, very comfortable cart, got good suspension. It is quick hitch and tie down. Will fit up to 13hh to 14.3hh.